Six members of staff at a specialist further education college, in Shropshire, have clocked up a total of 70 years work between them this term. 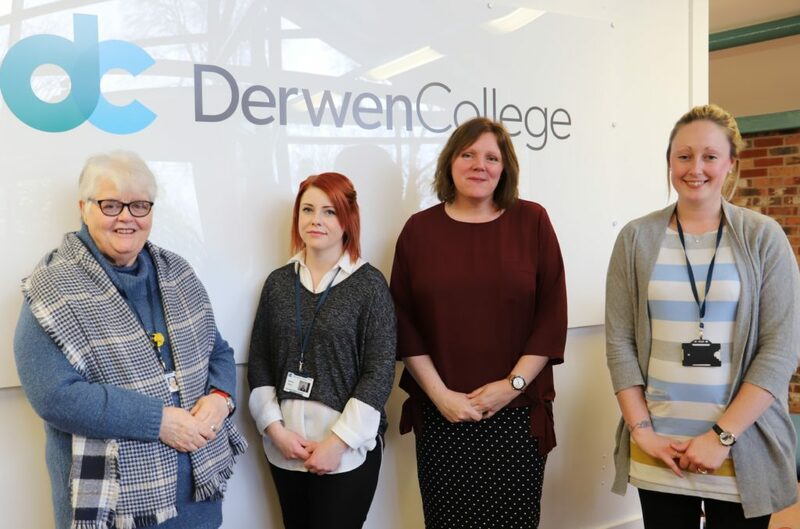 The dedicated employees at Derwen College, near Oswestry, who work in different areas of the college for young adults with learning difficulties and disabilities all receive long service recognition this spring term. The term sees the six members of staff whose work includes care, education, counselling and training, receive long service awards after working at the college for 10 years or more. Derwen College offers opportunities for staff to expand their knowledge and expertise through training and work. Work Experience Co-ordinator Abi Baker started in 2009 as a Learning Support Assistant (LSA). Abi said: “I have really enjoyed my 10 years working at Derwen College. I began my time here in the Hospitality department as an LSA supporting students in the restaurant, meeting rooms and housekeeping areas. I then undertook my teaching and Special Educational Needs (SEN) qualifications which were a difficult challenge for me. From there, I moved over to the external work experience area where I took students out to work at various locations. Since then I have progressed to Work Experience Coordinator and now manage a small team of brilliant job coaches and arrange students external work experience placements linked to their vocational training.